How does a 62-year-old woman who’s never been married find happiness with a two-time widower seeking his third wife on . . . Craigslist!? Does she throw caution to the wind and relinquish her freedom, or should she take a crash course in compromises? Author B. Lynn Goodwin tells all and more in NEVER TOO LATE. How she was attracted to Richard’s clear expectations, his honesty, and his incredible openness. She’d never met anyone like him. Would she recognize love if it knocked on her heart? And could an educated woman be happy moving into a blue-collar world? Whether you’ve been single forever, are trapped in an unhappy marriage, or you’re simply curious, you’ll find secrets to a happy marriage in NEVER TOO LATE. 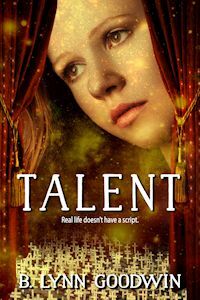 TALENT Fifteen-and-a-half-year-old Sandee Mason wants to find her talent, get her driver’s license, and stop living in the shadow of her big brother, Bri, who disappeared while serving in Afghanistan. You Want Me to Do WHAT? 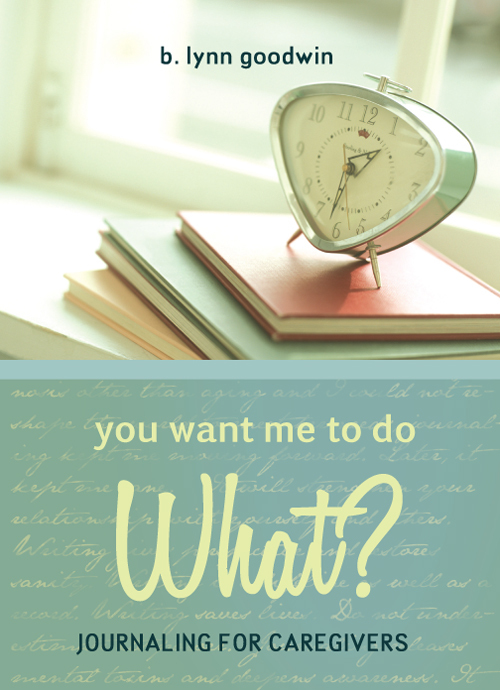 Journaling for Caregivers, http://www.amazon.com/You-Want-Me-Do-What/dp/1606962973. Relieve stress whether you’re a caregiver or not. Oops! The link above is not working as printed, but the page is there. Go to http://www.writeradvice.com. Click on Manuscript Consultation. Send me a note telling how I can help. Thanks! !